Here are four profitable chart patterns that you can use the next time you are looking for entries into individual stocks. Wait! There is no holy grail. These patterns can and will fail. You must manage your money correctly! 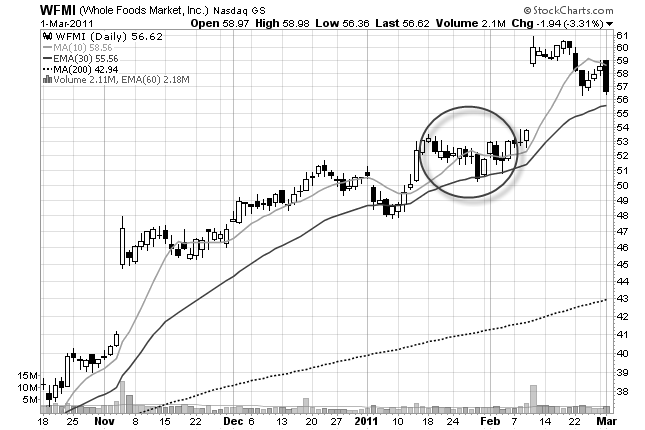 This is the one chart pattern that I trade the most often. If you are new to trading stocks, then start with this pattern! It is easy to identify, easy to learn, and easy to trade. What more could you ask for? 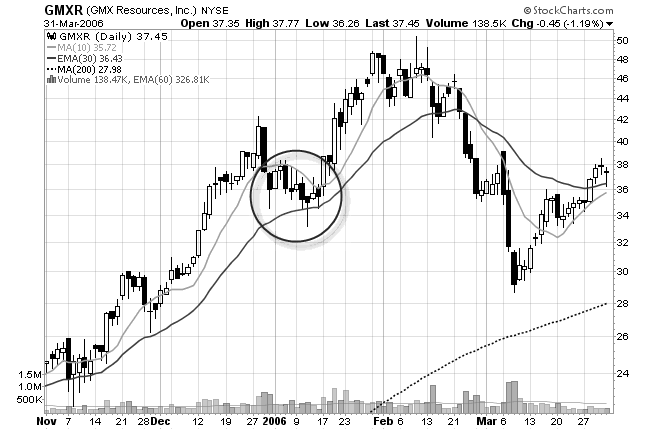 Some potentially explosive moves can result from trading this pattern. The best thing about this pattern is that you can usually get a low risk entry. 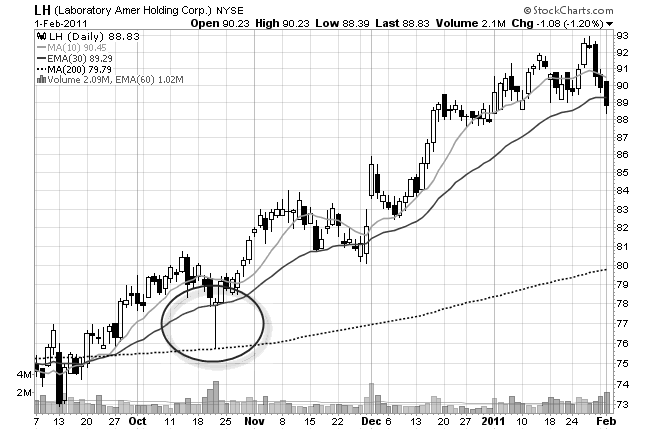 What happens when swing traders and momentum traders get trapped in a stock and have to take a loss? The stock rallies! 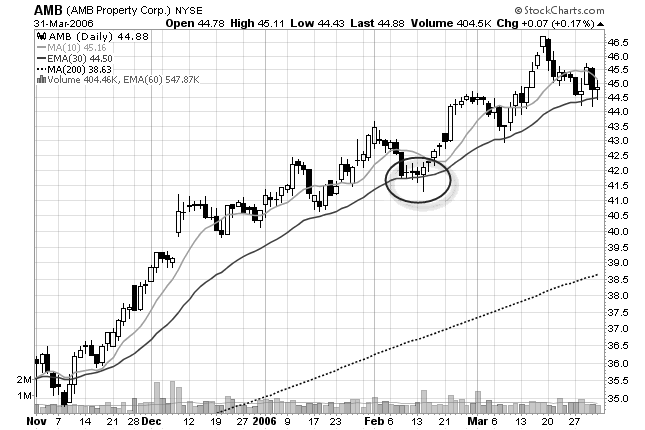 This chart pattern occurs when a stock trades side ways, breaks down, and then reverses.